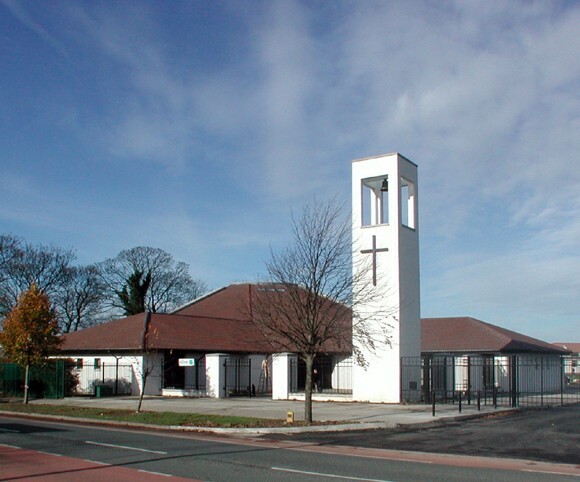 Until 2001, Huntstown Parish was served by a temporary, pre-fabricated, church structure built in the 1970s which was nearing the end of its useful life. It was also no longer suitable for this growing Parish. 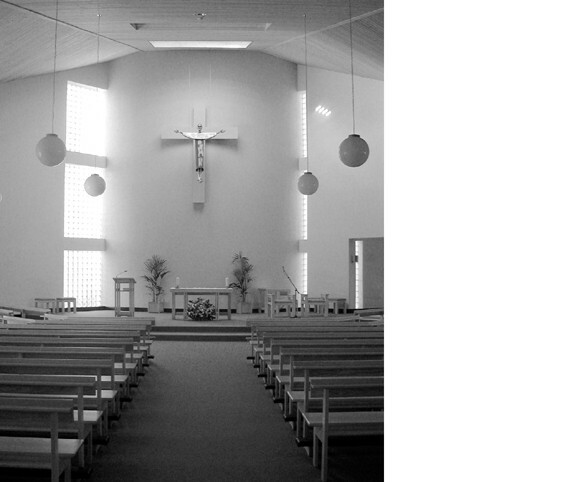 A new church was proposed which would seat a capacity of approx. 400 people with ancillary accommodation of a day chapel, sacristy, meeting rooms, Parish office, coffee dock and toilets. The site of the existing prefab was chosen. It is a site bounded on two sides by mature trees and on the other two by the local school. A shared access to serve the school and church was formed. Despite the large floor area of the building on a small site, it sits well. It is entered off an enclosed landscaped courtyard, with a bell-tower at its front focal point. The body of the church allows an intimate, yet private atmosphere for the individuals of the community. The other facilities are used daily to their full potential. Rev. Fr. Peter Jones P.P.